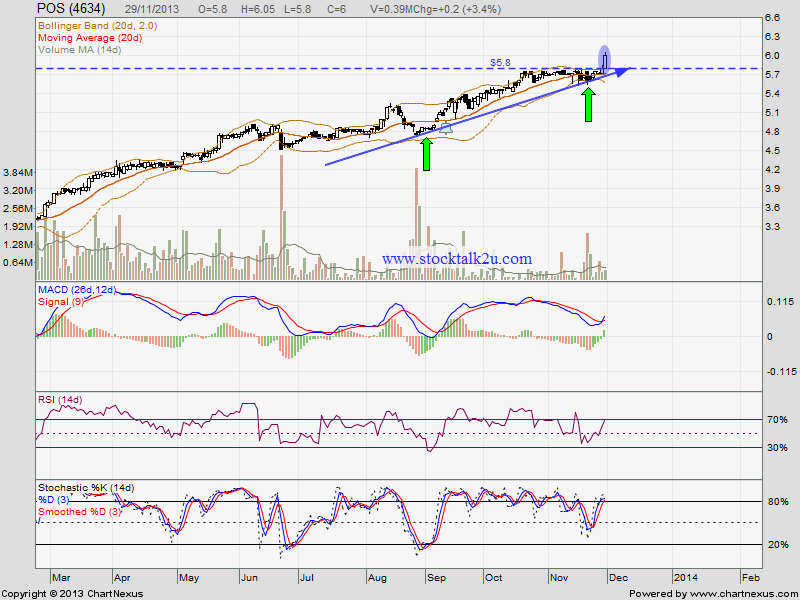 POS succeed break out RM5.80 resistance. 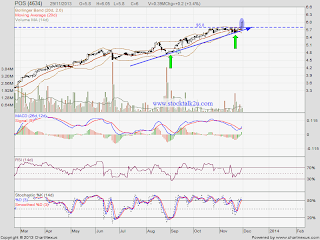 How about RM6.00 psychology resistance? Subsequent support would be MA20 / MA50 level. Since higher high & higher low been confirmed, uptrend will be resume.